I didn't even like this pattern when it came out, now I have three of them. I became a Grainline fan not long after I took up sewing again. 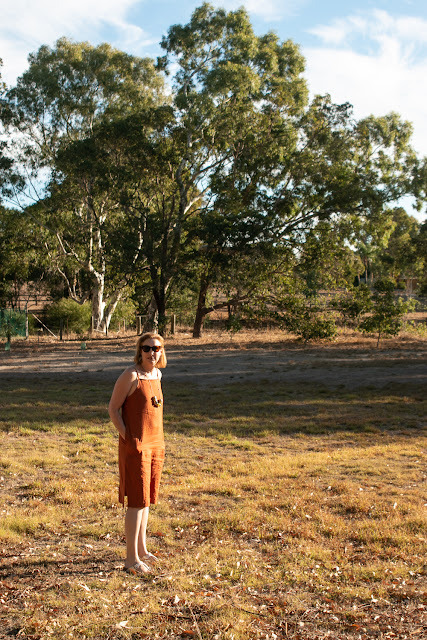 Jen's very wearable, modern un-fussy designs are absolutely the thing I go for. I've also discovered, after making a few different patterns, that I can make up size 10 in her patterns with no adjustments and everything fits. I guess I just match the Grainline block but I certainly appreciate the consistency from pattern to pattern, it's not something I've found with every pattern company. Anyway, the Driftless cardigan. It came out in March, when I was still running the air-conditioning everyday here in sunny Western Australia. 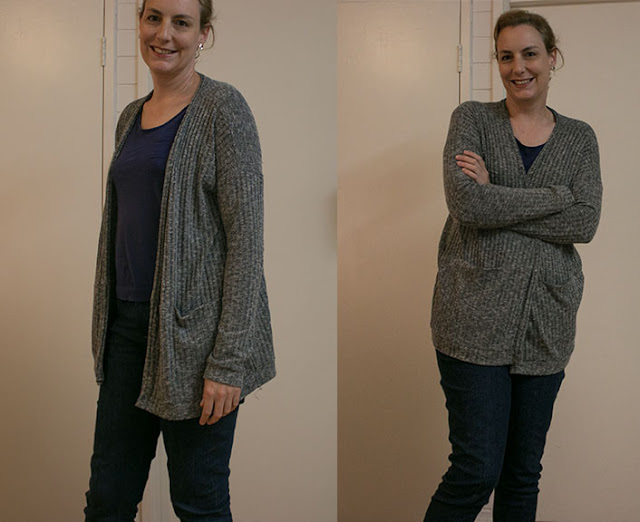 It's a slouchy, grandpa cardigan, with the samples both made up in grey and it just seemed so blah. I actually like grey clothes and I can see why Jen likes grey too, it's a great neutral but it just doesn't show a garment off. And then, of course, people started making them up. It was when I saw the Seam Machine's version on Instagram that I reconsidered and bought the pattern. 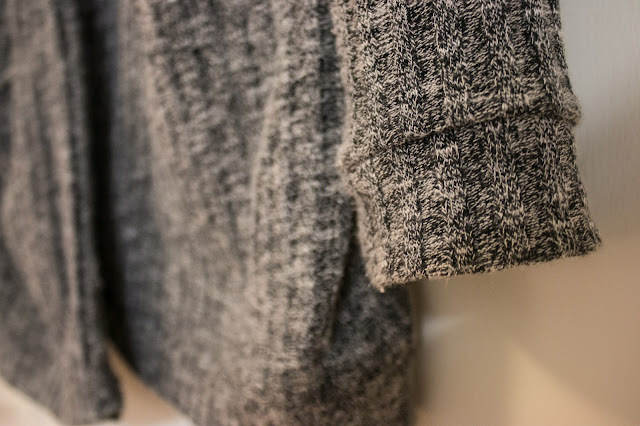 The weather started to cool down, I went to Knitwit and bought so lovely, soft, winter knit - one in a ribbed grey (grey - I know) and another in a thin, super-soft pure white. I didn't note the fabric type at the time and unfortunately I can't find the details online but I think the grey fabric contains some rayon and the white knit is wool. 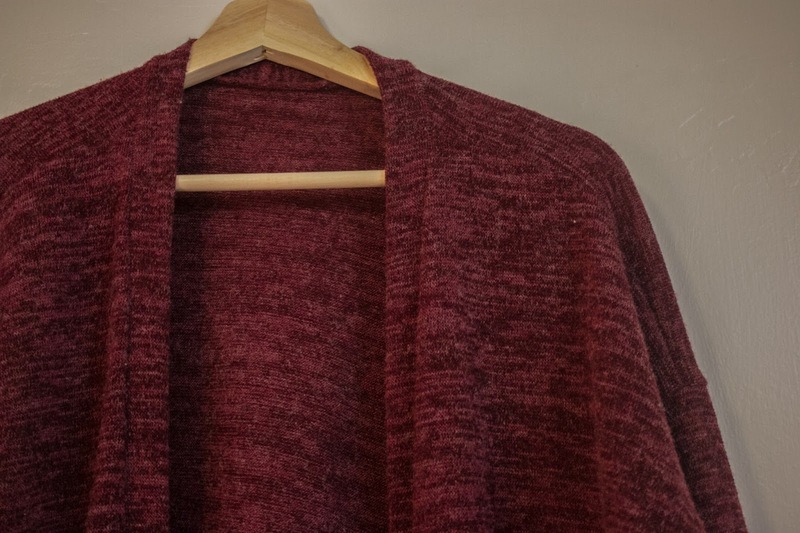 Then for good measure I bought a cheap poly variegated burgundy knit from textile traders. I cut and sewed up my first Driftless the day after TMS announced that the second Indie pattern month comp would be 'One pattern, two ways' and I knew as soon as I tried it on that this would be my entry. There is not a whole lot to say about this pattern. 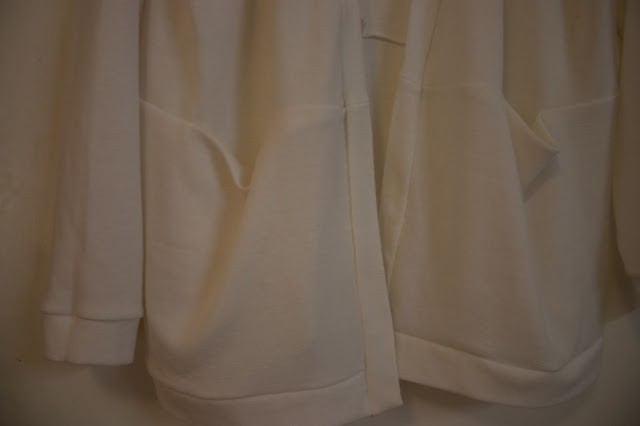 The front and back pieces are made in two parts, with the upper and lower front pieces forming two pockets at the front. Most of the cardigan can be sewn on an overlocker, apart from creating the pockets and adding the neckband. 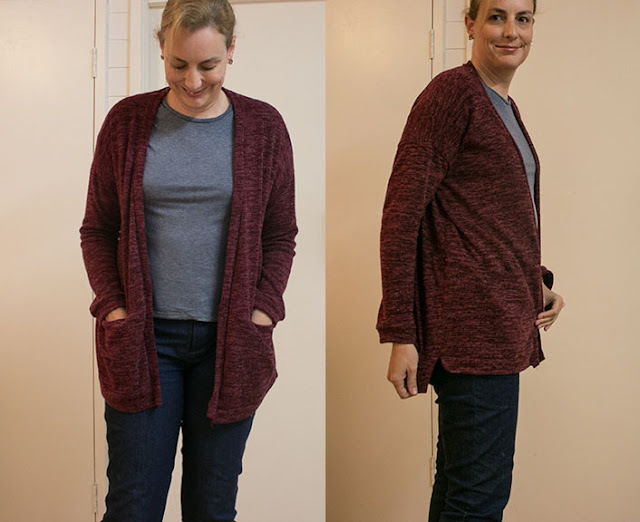 Version 1: I made up view 8 in a straight size 10. I made the pattern up exactly as instructed, apart from when I got to the end. The instructions have you first overlock the neckband to the body, then fold it in half, then fold the raw edge under and hand stitch it closed. I avoid hand stitching whenever I can, plus I knew that grey thread would disappear into this fabric , so just folded the neckband over and stitched in the ditch to secure it to the inside. Version 2: Made view B, with the split high-low hem band. I widened the sleeves by about two inches, tapering to nothing at the armscye, and then widened the cuffs accordingly as well. I also the folded the neckband and overlocked it all in one go. 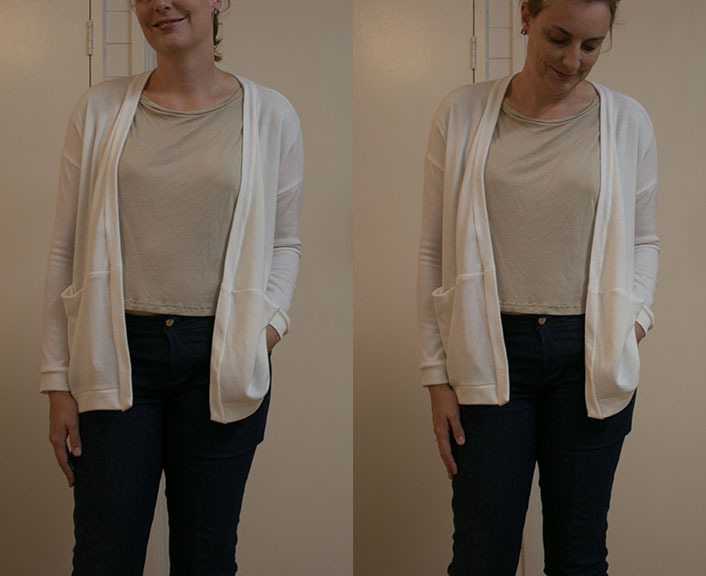 Version 3: Inspired by a cardy I saw online at Madewell, I used the white knit fabric and shortened the length by three inches, making view A again. 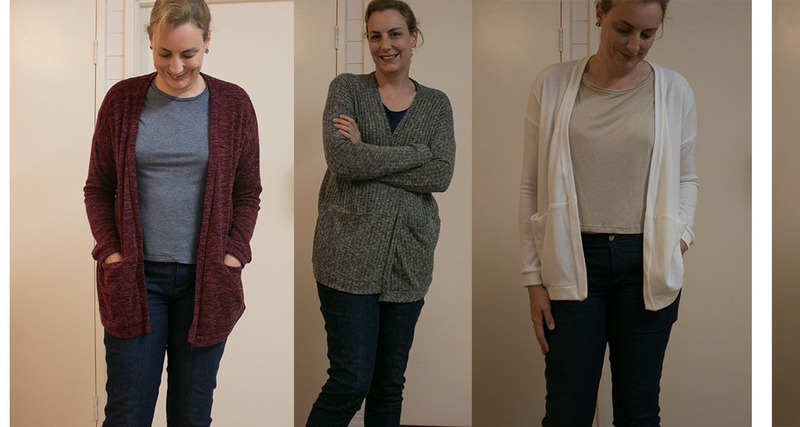 The verdict: I have not stopped wearing these cardigans since I made them. My Me Made May photos alone show how much I wore the first Driftless. Soft and cozy as a bathrobe, they have been worn to work, to yoga, to coffee with friends, sitting in front of the TV and over pyjamas.